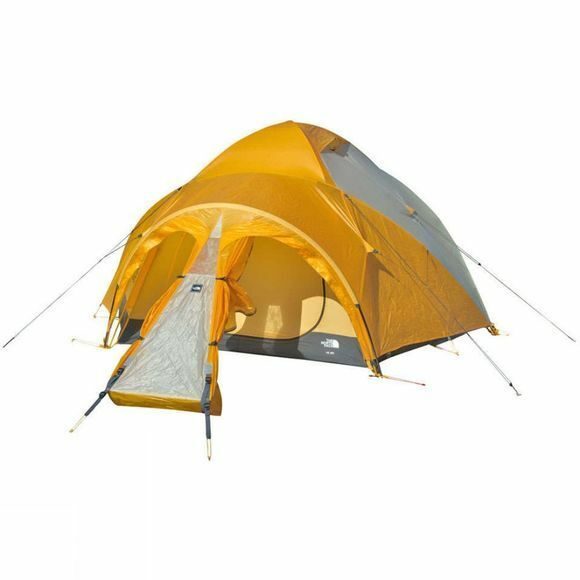 The VE 25 Tent from The North Face is a rugged 3-person expedition tent that can withstand the most extreme conditions on the planet. 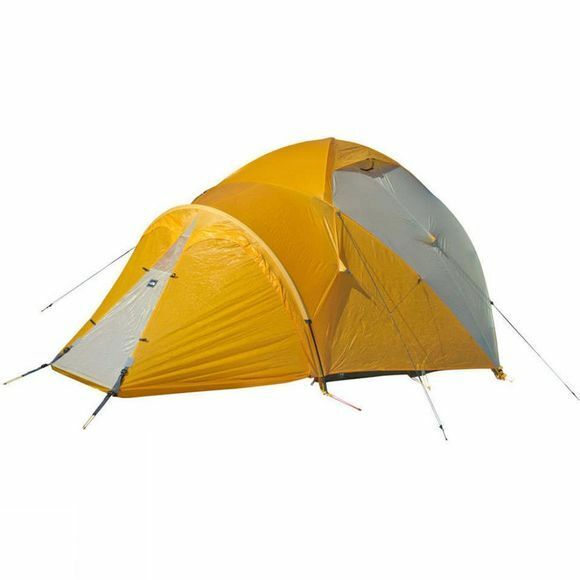 A perennial favourite with core mountaineers and expeditions, the VE 25 has DAC FeatherLight NSL aluminium poles, continuous pole sleeves, a taped nylon taffeta true bucket floor, colour-coded canopy and Flysheet webbing, reflective guyline loops, glow-in-the-dark zipper pulls and no-stretch Kevlar guylines with camming adjuster. It also has internally adjustable zipped vents with mesh screens, dual doors with dual vestibules and durable polyurethane windows that are cold-crack tested.